Sikorsky is one step closer to bringing its “unmanned rotor blown wing concept” aircraft to reality. 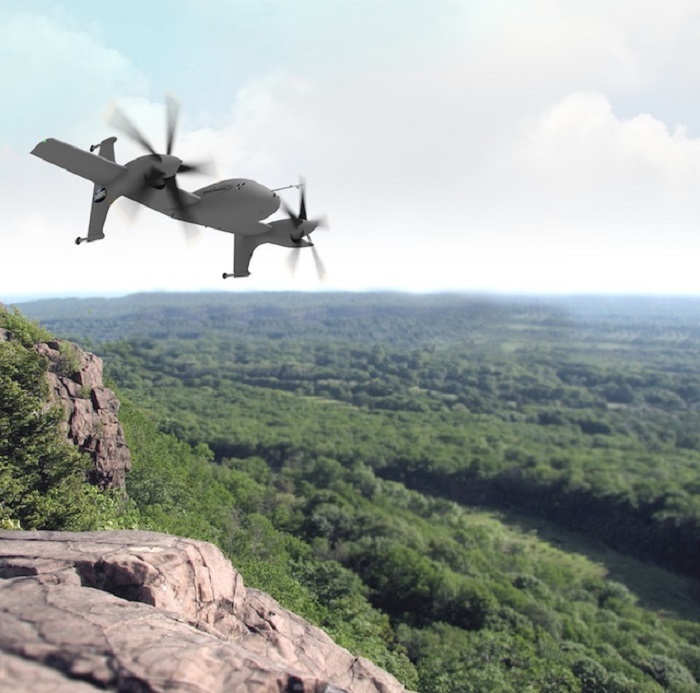 The Stratford, Connecticut-based helicopter manufacturer has been awarded a $14.4 million contract by the US Defense Advanced Research Projects Agency (DARPA) to develop a preliminary design for a “vertical take-off and landing experimental aircraft,” DARPA’s so-called VTOL X-Plane. The contract covers the first phase of a 52-month, $130 million project to develop a 4,540-5,440kg (10,000-12,000lb) experimental vertical lift aircraft that that can fly at sustained speeds of between 300-400kt, says DARPA. That’s roughly double the speed of current-generation vertical lift aircraft, which typically max out around 170kt due to the aerodynamic phenomenon of retreating blade stall, the agency notes. The VTOL X-Plane must also have improved hover and cruise efficiencies and be able to carry a useful load weighing at least 40% of its gross weight and a payload weighing at least 15.5% of gross weight, according to DARPA documents. “The primary technical objectives of the VTOL X-Plane program are to demonstrate radical improvements in flight speeds, hover efficiency and cruise efficiency of VTOL aircraft, and to demonstrate the ability to perform useful work throughout the flight envelope,” according to the agency. Sikorsky thinks its unmanned rotor blown wing concept aircraft can fit the bill. The aircraft, which the company expects will first fly in the fourth quarter of 2017, is being designed by the Sikorsky Innovations division in Fort Worth, Texas, in partnership with Lockheed Martin’s Skunk Works unit. DARPA says it intends to issue “multiple” contract awards for phase one, which has a budget of $47 million and begins with a six-month conceptual design effort. During that period, companies will study and evaluate technology, identify and select propulsion systems, define the aircraft’s layout and estimate its size, weight and fuel and electrical requirements. Companies are expected to conduct a conceptual design review before the end of the six-month period, DARPA says. Phase one then moves to a 16-month period for conducting preliminary designs, maturing technology and identifying and reducing risks. Before the end of phase one, DARPA says it expects to solicit proposals for phase two and three from phase one providers. During the 18-month phase two, companies will mature their systems, design aircraft structures and control surfaces and analyze flight characteristics, says DARPA. Phase three will last 12 months and will include ground and flight tests, according to the agency.